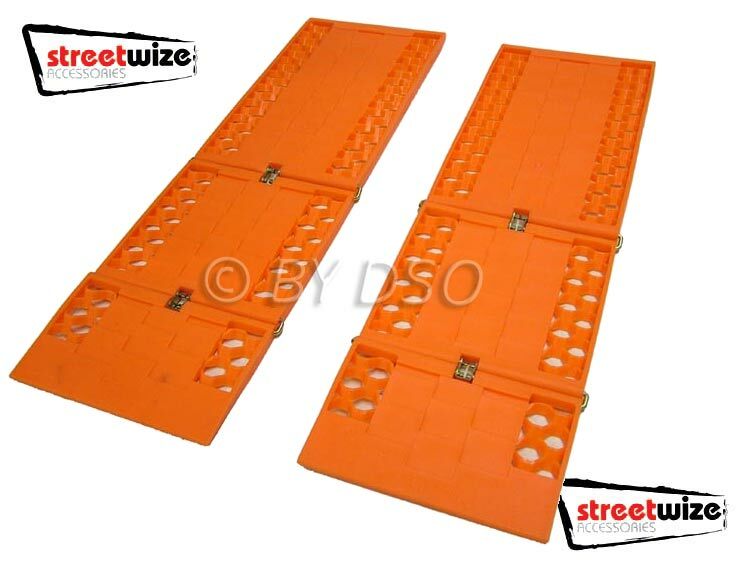 Get out of a sticky situation with this pair of Tracks for use on snow, sand and mud. Made from heavy duty hard wearing plastic, these tracks have deep honeycomb cleats for maximum grip in hard to get out of places. Tracks give extra grip to stop wheels spinning therefore using them under the wheels and driving very slowly you'll break free and be back on track in no time. When finished with them they fold up and take up very little space in your boot or under a car seat.